​The New Orleans Saints defense was already stacked, but they decided to bolster the roster even further on Wednesday, by reaching an agreement with former Dallas Cowboys receiver Dez Bryant on a one-year contract. After acing his workout with the team, Bryant reported to the team facility on Thursday. 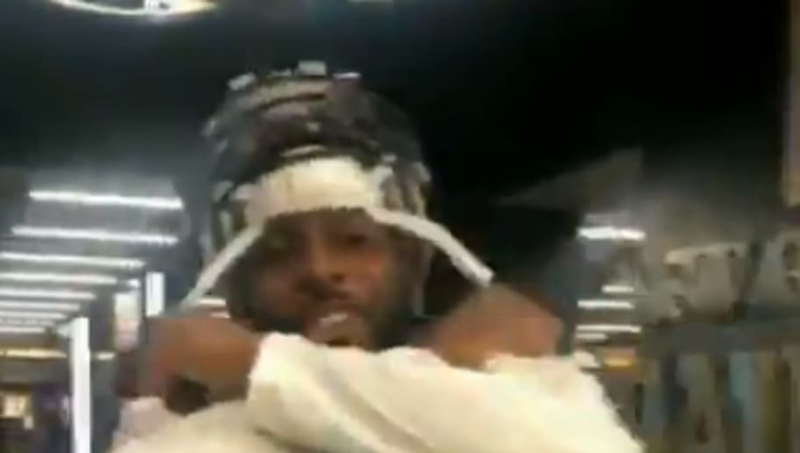 Now, we have our first official look at Bryant throwing up the "X" in a Saints uniform. ​​Many fan edits were spread throughout social media on Wednesday, but we now see Bryant donning the black and gold for the first time ever. Granted, it's a bit weird to see, considering he was a member of the Cowboys for the entirety of his career up until 2018. The expectation heading into the weekend is that Bryant will not play against the Cincinnati Bengals in order to get a grasp on the playbook. However, once he gains that knowledge, he will be Drew Brees' secondary option on the outside, across Michael Thomas. Not only that, but Bryant could garner enough defensive attention to open up the running game with Alvin Kamara and Mark Ingram. In case you were wondering if it was all a dream, it's not. Dez Bryant is a New Orleans Saint.